A most welcome guest came by our office today. The MeeGo powered Nokia N9 arrived with its shiny in-depth colored body and gorgeous AMOLED and this time it will stay with us for a full review. You can bet that one of the most interesting smartphones of the season is receiving the attention it deserves in our lab, but we know the waiting until the review is complete is killing you. That’s why we did what we usually do and prepared a quick hands-on video for you to give you an idea of what to expect. We also garnished it with some live shots of that oh-so-magnificent body. You really can’t help but fall in love with it once you hold it in your hand. 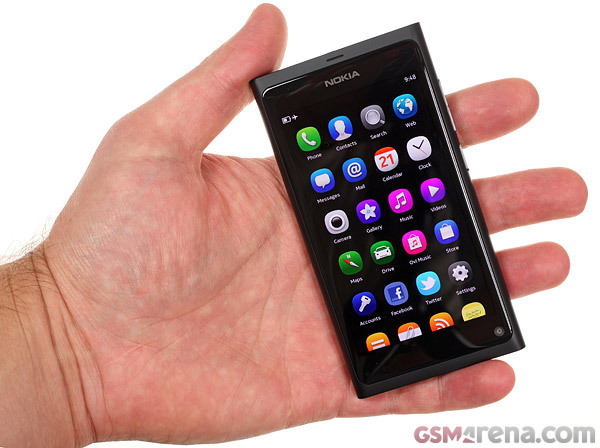 The Nokia N9 is certainly a smoothly performing handset with multitasking capabilities that are hard to match. It’s what MeeGo’s good at and the hardware here is obviously good enough to fulfill most of the available potential. Just check out the video and see for yourself. Any questions you want answered in the review, feel free to post below. We are not promising anything, but we’ll certainly do our best to answer them all.